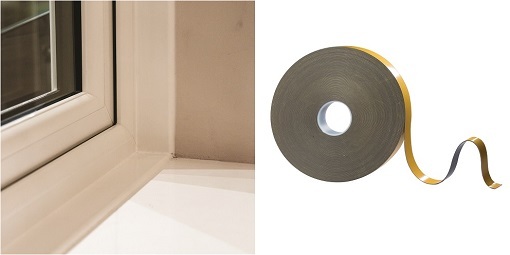 UK Industrial Tapes offers Ceramic Glazing Tape for use when glazing a wide variety of insulating and non-insulating fire resistant glass types into internal screens and doors manufactured from timber or steel. Our advanced production techniques ensure a highly uniform structure enhanced by low thermal conductivity, good handling strength and smooth surface. Our Ceramic Paper Products are manufactured from alkaline earth silcate (AES), with a low bio persistence wool, blended with specially selected organic binders to give flexible papers with exceptional characteristics. 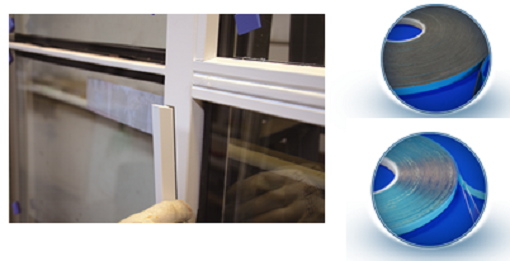 Our Ceramic Glazing Tape has been tested by a number of window system producers, as an integral part of steel and timber glazed systems to BS476 and other equivalent national standards (DIN4102). For further product information, please contact our specialist sales team. 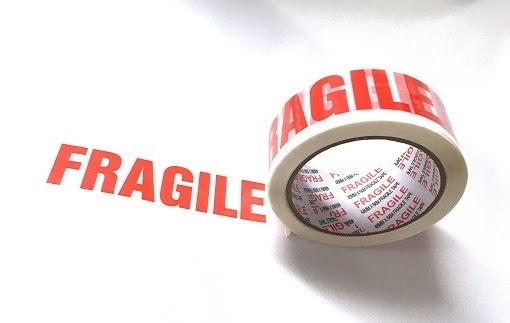 UK Industrial Tapes offers a range of double sided Tapestry Tapes in different widths and lengths to suit your particular application. 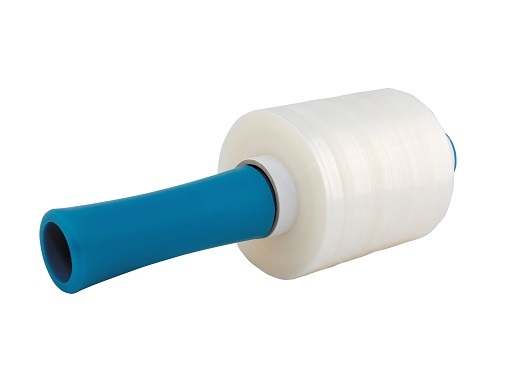 2022 Tape - This tape has an easy tear paper carrier coated on both sides with a high tack adhesive system specifically designed for sticking canvas, textiles and tapestries into place. Do not use on high value or irreplaceable art. 150HS Tape - This product has a high deposition, high tack adhesive which makes it an ideal solution for canvas, textiles and tapestry applications. It is excellent for adhering to structured, rough and textured surfaces. 150HS has a pure acrylic adhesive which is acid free. 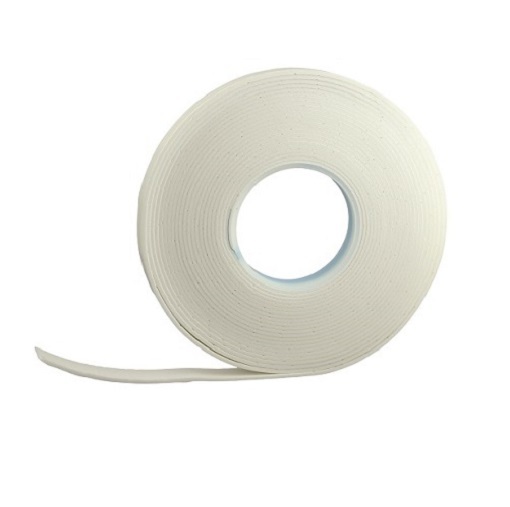 4030 Tape - High quality cloth tape coated on both sides with a very high tack adhesive system. The cloth is very conformable so it is ideal for tapestry type applications. For further product information, please contact our dedicated sales team. 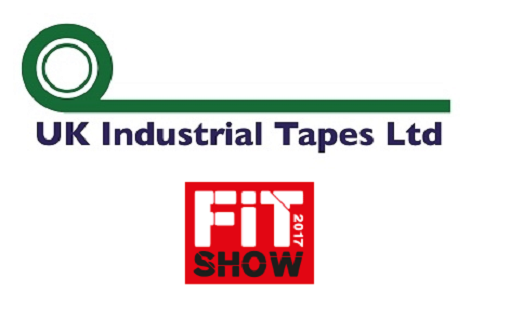 UK Industrial Tapes Ltd offer our FoamLINK and ProLINK Range for this application and have supplied UPVC, Timber and Aluminium Window Manufacturers with our tapes for well over 20 years. Our FoamLINK and ProLINK Tapes provide an excellent weather and temperature resistance, will perform against high demands of expansion and contraction, provide a tremendous Peel and Shear strength which is a critical factor to ensure the bars stay in situ and offer a high initial tack with an extremely strong bond. FoamLINK Range is a 1mm, 1.6mm and 3mm thick double sided closed cell PE foam with a High Tack Modified acrylic adhesive available in Black or White. It can be slit at any width you require for your bar. ProLINK Range is a 1mm, 1.5mm and 2mm thick double sided Clear High Performance Pure Acrylic. This can also be slit at any width you require for your bar. 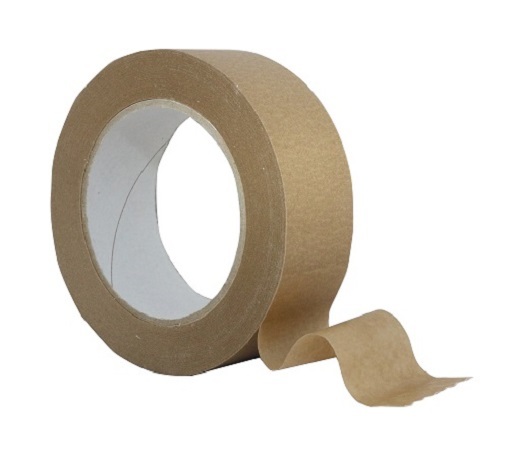 Our brown Kraft Paper Frame Sealing Tapes are primarily designed to give a professional finish to the back of the frame but they also protect against dust, air pollutants and insects. Both are flexible, pliable and sticks well to itself. Eco 15 is our 60gsm paper tape. Eco 25 is our 70 gsm paper tape. 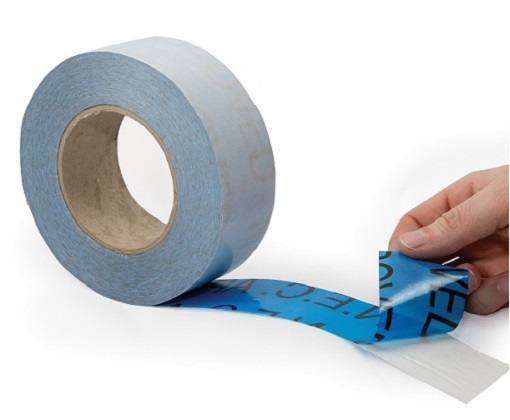 It is also ideal for sealing boxes, envelopes and a range of other products. 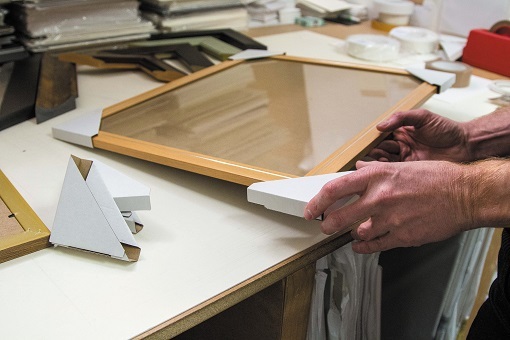 Cardboard Corners are a must have within the Picture Framing industry as they are used to protect not just frames but canvas, artworks and more. UK Industrial Tapes has a large selection of Cardboard Corner Protectors which are produced from a 1.4mm thick white faced flute board. These are supplied flat in sheet format, ready to easily press out and fold into shape for your job. Each pack contains 50 sheets. 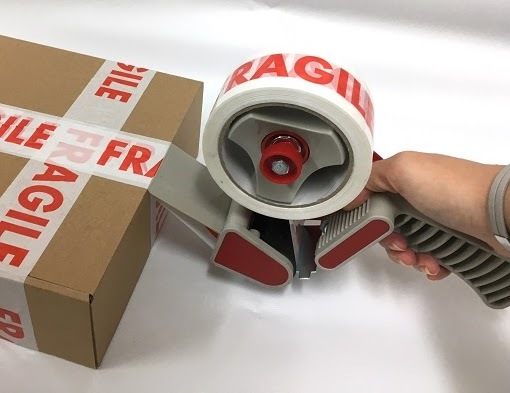 Alongside the Corner Protectors, Mini Rolls are the easiest way to bundle wrap and protect frames and mouldings whilst holding your cardboard corner protectors in place. 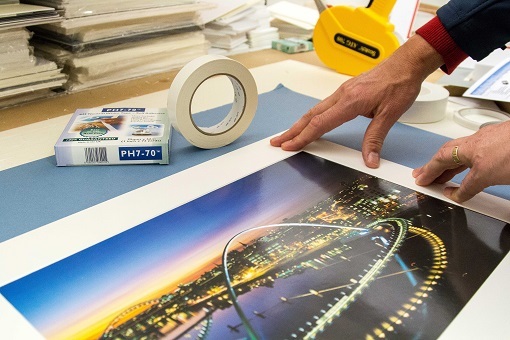 This can be wrapped around the corners and frames to ensure the corners are kept in place without the need of adhesives or staples. Our mini rolls are 100mm wide and come in either 150m or 300m length. 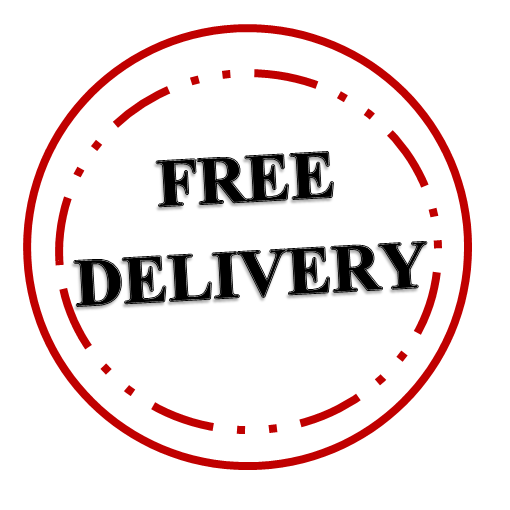 If you are unsure on which size is most suitable for your project please contact our sales team for your FREE sample pack. 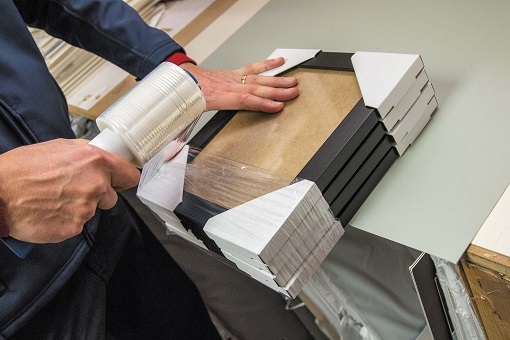 The Expanding Foam Tape 8000 range at UK Industrial Tapes is ideal for joint sealing and gap filling in a range of applications within the glass, glazing and construction market. Our Expanding Foam Tape will provide a seal against the most demanding environmental conditions from Air / Dust to Water / Driving Rain at 600 Pa. The 8000 Range is a pre-compressed sealant made of impregnated permanently elastic fine-cell soft polyurethane foam. Manufactured to ISO 9001 and is approved to DIN 18542 and DIN 4102. 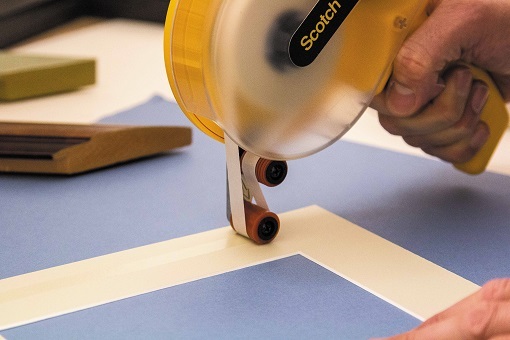 UK Industrial Tapes produce a range of Mat Decoration Tapes designed specially for covering Foam Biseaux strips to make a mat or mount with a deep bevel. 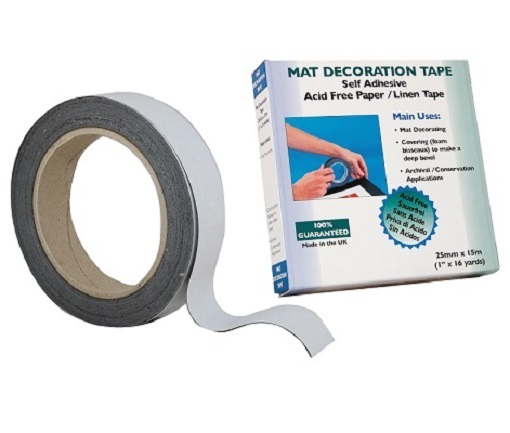 Available in 10 different colours, Mat Decoration Tape comes in rolls of 25mm x 15m and is made from a self adhesive acid free paper/linen tape. 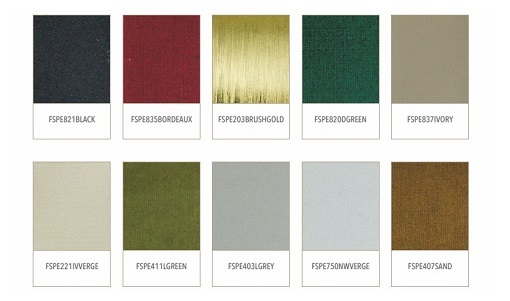 For samples, or further information please do not hesitate to contact our sales team. 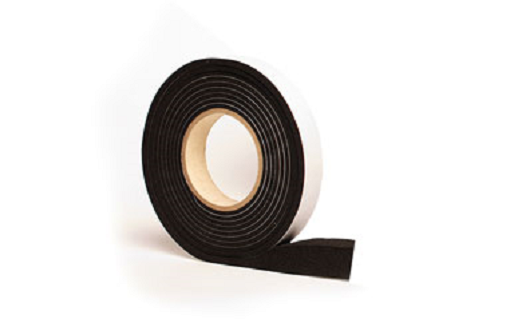 As part of the Low Tack Protection Tape Range, UK Industrial Tapes offer a White on Black 80-micron thick Protection Tape. As this product has a white finish it is excellent for use where writing on finished products or during production is required. 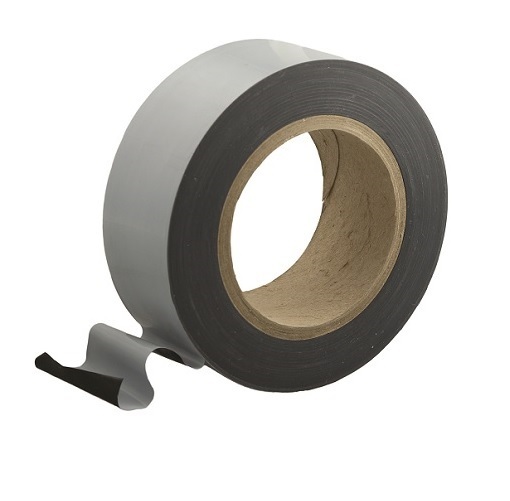 The White on Black Low Tack Polythene Protection Tape may be used to protect sensitive surfaces against mechanical damage, dust and dirt during transport, storage or assembly. Suitable for indoor and outdoor use, best results are obtained at an application temperature between +15ºC and +40ºC. For samples or further information please contact our sales team.